Naveeni Rasiah recently graduated from the University of Ottawa with a B.HSc. (Hons) in Health Sciences, and plans to pursue further education in public health. 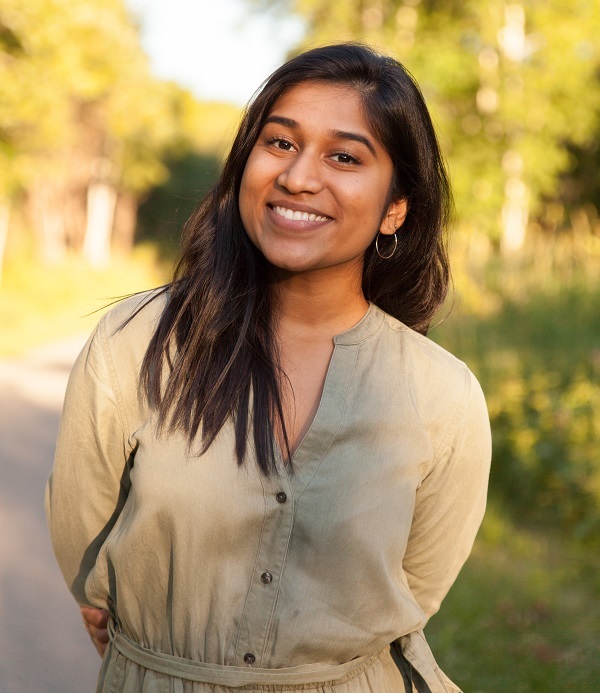 She is an active member of the Tamil community in the Greater Toronto Area, and aims to strengthen her connection through her involvement in dance. Naveeni hopes to pursue work in the fields of sustainable development and global health in the future. Naveeni was born and raised in Canada, and last visited Sri Lanka in 2001. Naveeni will be placed in the position of Youth Facilitator (Creative Arts) for approximately two months under the Right of Return program at the Church of the American Ceylon Mission. We asked Naveeni to share some thoughts on her upcoming placement. As I sit here, simultaneously staring at this blank Word document and my calendar, I can sense the feeling of nervousness dawn upon me. In a few weeks, I will be stepping onto the land which my parents call their home – the same land from which I felt disconnected while growing up in Canada. Every time I try to think of how to prepare for this visit, I cannot help but feel a self-consciousness of privilege consume my thoughts. Although it has been difficult to challenge this feeling, I understand that as an “outsider”, sometimes the best way to conduct oneself is simply to be respectful. This includes being respectful of the community, being mindful of societal circumstances, and being open to learning. I will be volunteering as a Youth Facilitator at Herman Girls’ Home (through the Church of the American Ceylon Mission), primarily focusing on creative arts to encourage artistic expression and arts education within the community. There are community members and organizations that are already involved in this work. During my time in Sri Lanka, my goal is to work alongside these community members and organizations to support their efforts, without negatively impacting the existing opportunities and resources that are available to the locals. I understand that, currently, there is a gap between the Tamil community from the North and East of Sri Lanka and the Tamil diaspora. I believe that a lack of interaction is highly influential in fueling this distance. Opportunities such as comdu.it’s volunteer missions provide both of our communities a meaningful way to slowly strengthen our relationship, and hopefully, work towards bridging that gap in the future. Stay tuned to this blog to follow Naveeni’s work in Batticaloa this year.